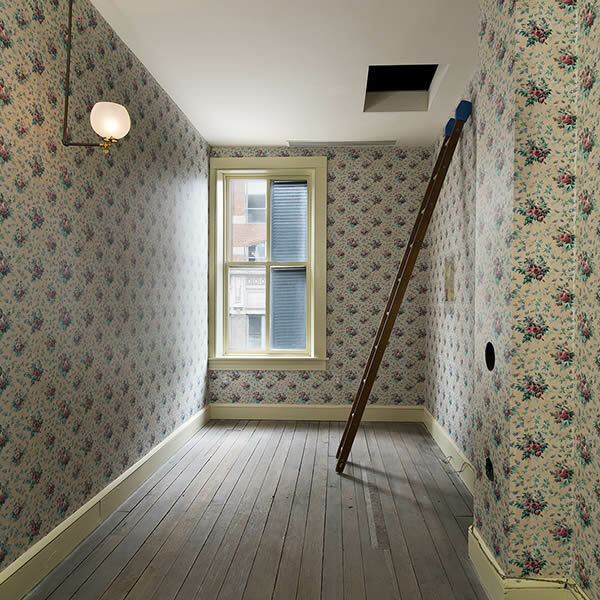 After its accidental discovery in 1997, Clara Barton’s Apartment and Missing Soldier’s Office was restored to become a museum. 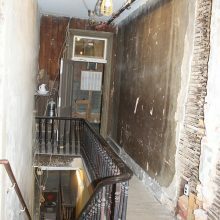 Prior to restoration, the apartment was in terrible shape. Plaster was failing, wood lathe was exposed in every room, mold was evident throughout, and there were layers of peeling wallpaper in various states of decay. 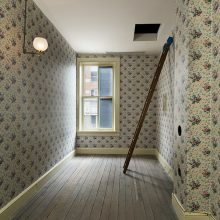 While there was information in earlier conservation studies, they were piecemeal and did not present a comprehensive analysis of the entire apartment. 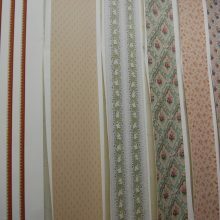 EverGreene was brought in to put all the information together, and conduct an in-depth forensic investigation on the original wallpapers and finishes. In short, the project was like putting together a puzzle without knowing the number of pieces or the final picture. 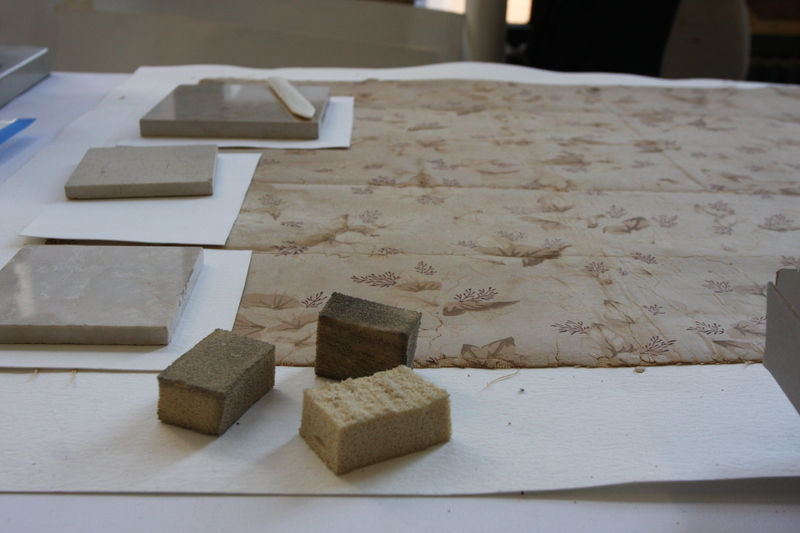 By creating exposure windows, EverGreene’s conservators were able to identify many different original and post-historic wallpapers. 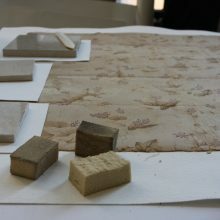 Samples were then analyzed in our lab, and we were able re-create the lost patterns and identify the original colors found in the wallpaper fragments. 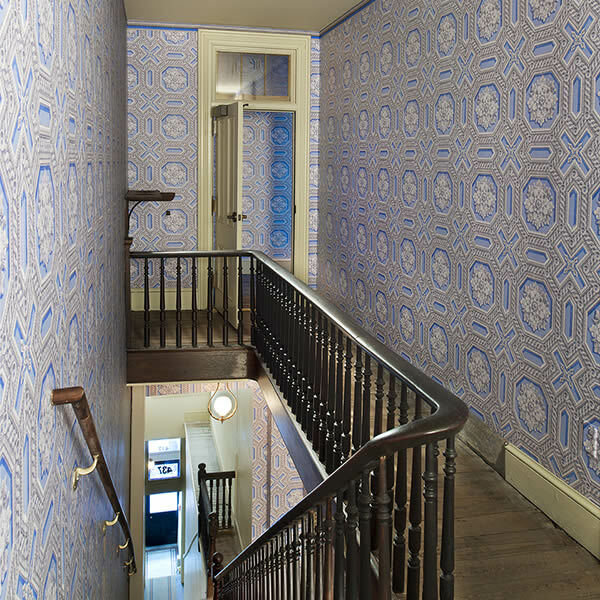 For the restoration, the wallpapers were digitally reproduced or hand screened; highly-pigmented paints were custom-tinted and hand-mixed with a super matte finish to replicate the original. 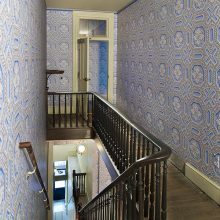 Finally after many design consultations, samples, and experimentation with hue, tone and finish, high-quality reproduction Victorian wallpaper was made in our studio and hung on the rebuilt plaster walls and ceilings. 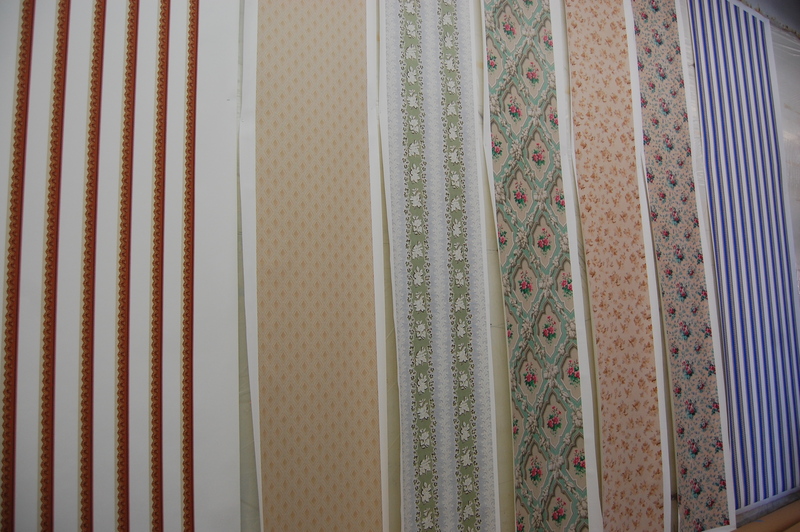 A total of 16 different original wallpaper fragments, including 5 borders, were created for the space.